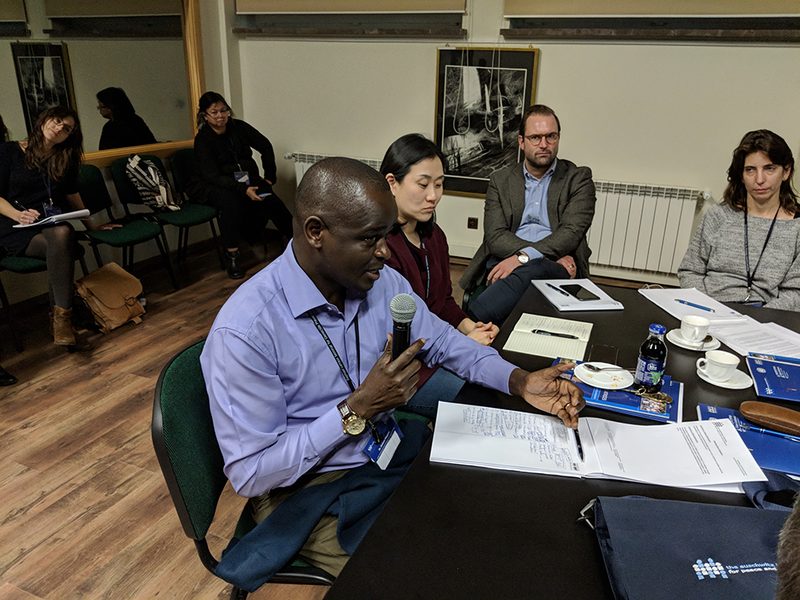 Dr. Dickson Liyayi Magotsi currently serves as the Undersecretary and Head of Programs for the Kenyan Ministry of Interior and Coordination’s National Steering Committee on Peacebuilding and Conflict Management, housed in the Ministry’s Conflict Early Warning and Response Unit. 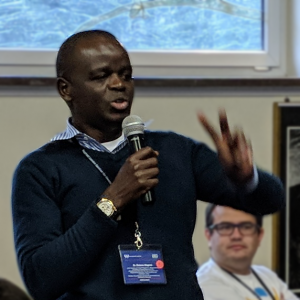 Dr. Magotsi also sits on the Kenyan National Committee for the Prevention and Punishment of the Crime of Genocide, War Crimes, Crimes Against Humanity and All Forms of Discrimination. During nearly two decades of public service, he has made contributions to a wide variety of peacebuilding and conflict management initiatives, including having served as Team Leader of the UWIANO Platform for Peace. Dr. Magotsi received a B.A in Political Science and an M.A in International Conflict Management from the University of Nairobi. 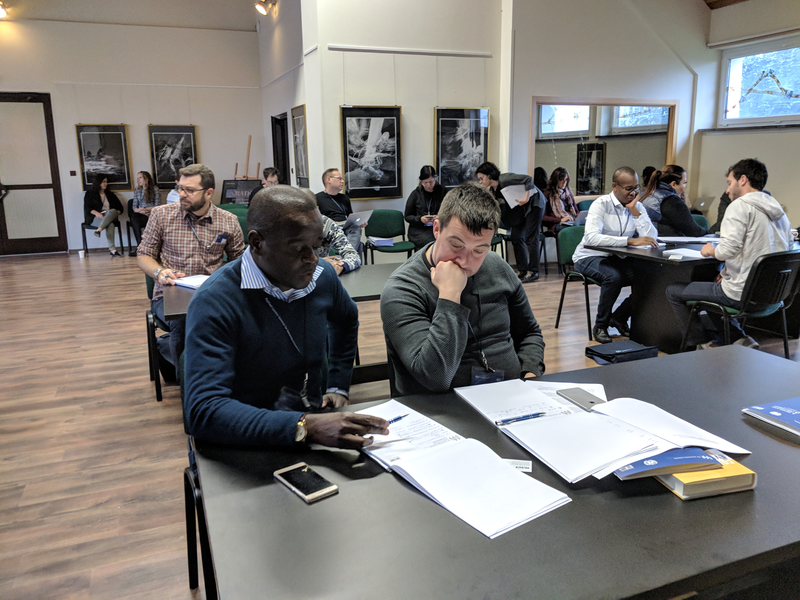 He recently attended the Global Raphael Lemkin Seminar for Genocide Prevention in November of 2017. Which actions, policies, and/or approaches do you feel are the most effective in the long-term prevention of mass atrocities? I wish to posit that a combination of preventive actions, policies and approaches is the most effective in the long-term prevention of mass atrocities. In specific, community conversations and dialogue, conflict assessments, awareness raising and advocacy, training of stakeholders, and the domestication of protocols on genocide prevention are particularly effective. Stakeholders and communities at large should be involved to ensure that the actions they plan to not inadvertently provoke or enable mass atrocities. To this end, capacity building and awareness raising for stakeholders should be undertaken. This should happen at all phases of the conflict cycle: upstream, midstream and downstream. What brought you to work in the field of genocide and mass atrocity prevention? I have a passion for work in this area. Additionally, my very first deployment in government placed me in the community, where I was at the centre of conflict prevention and resolution. I found myself in an environment that had many stakeholders and actors. Thus, I was charged with the coordination of their initiatives. My learning path, including my educational and professional qualifications, has focused on conflict prevention and the prevention of mass atrocities and genocide. 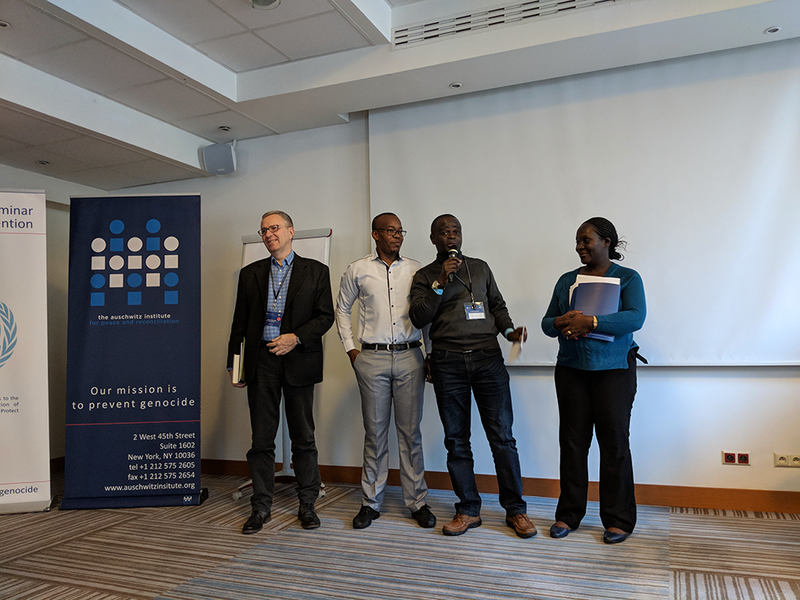 Could you tell us a bit about your work with the Kenya National Committee for the Prevention and Punishment of Genocide, War Crimes, Crimes Against Humanity and All Forms of Discrimination (KNC)? I am the Chairperson of the KNC’s Policy and Legislation Sub Committee. Currently we are coordinating the development of a legal framework for the Committee. Beyond this, I initiate concept notes and do fundraising as well as support and facilitate trainings for members and stakeholders. I also contribute to research and regularly facilitate meetings and stakeholders’ forums. In the near future, the KNC is planning to conduct a series of community dialogues in selected areas that are being significantly affected by conflict. The forums are meant to enable stakeholders to form a deeper understanding regarding the peace and security context, analyse the conflicts, and propose practical solutions. The forums will also serve to repair relationships that were broken during a fiercely contested electoral period. The KNC is also planning to develop a legislative bill on genocide prevention. To this end, we hired a project consultant, who has already been brought on board. We did our inception meeting with the consultant mid-January 2018 and held a meeting for the KNC Executive Committee during which Edwine (Okuta, Member of the KNC) and myself briefed the meeting on the training we attended last year. At this point, we’re set for the full KNC meeting on February 2, 2018. The training of KNC members in various thematic areas and a series of KNC working meetings will be held too. Could you also tell us about the work you do for the National Steering Committee on Peacebuilding and Conflict Management? planning, budgeting, capacity building and performance management of staff. What does a day in your job of prevention look like? Sometimes I realize that whatever I plan to do may be interrupted by calls/demands to respond to needy situations. It then necessitates that I put on hold all the “linear” programmes/activities for the day and initiate action on emerging issues arising from early warning alerts. Who or what inspires you in your continued work on the prevention of mass atrocities? The sanctity of human life. My conviction lies in my calling to save lives.